It’s time to shine the spotlight once again on an amazing project that needs to be brought to life via the crowdfunding website, Kickstarter. It’s time, so Let’s Kickstart This! This time, we take a look at a line of 3 3/4 inch action figures that spans the world of comics: let’s take a look at Amazing Heroes. 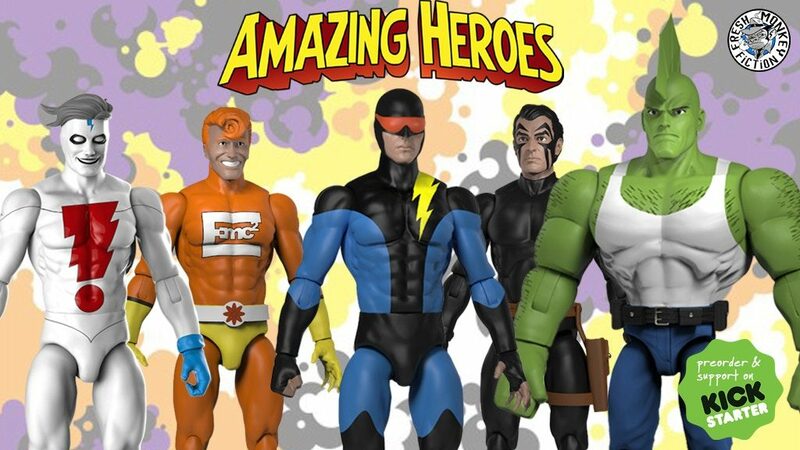 From Fresh Monkey Fiction, no stranger to the world of action figures or Kickstarter, this new Amazing Heroes line brings together characters from across the comic book landscape. Featuring heroes from Image Comics books like Savage Dragon, Madman, Curse Words, Red Hook and Jack Staff to Mike Baron’s classic Nexus, plus a lot of classic heroes from the 40’s and 50’s, like Red Devil, Black Terror, Bulletman, Claw and more. All done in a modern style that fits into your Star Wars, Marvel Universe and GI Joe collections. FRESH MONKEY FICTION IS EXPANDING ITS AMAZING HEROES LINE OF COMIC BOOK ACTION FIGURES WITH A NEW SCALE AND MORE ARTICULATION. Amazing Heroes was born out of the idea of creating an action figures line that could combine many of our favorite indy comic book heroes into an overall line of collectibles. For over 2 years we have been working closely with legendary comic creators such as Erik Larsen (Savage Dragon), Mike Allred (Madman), Steve Rude (Nexus), Jim Starlin (Dreadstar), Mike Grell (John Sable), Joe Staton (E-Man), Paul Grist (Jack Staff), Bob Burden (Flaming Carrot), Vito Delsante (Stray), Dean Haspiel (Red Hook), Michael T. Gilbert (Mr. Monster) and many more to bring this amazing collection to life. The sculpts look great, I really dig their diverse choice of characters, from classic to modern. A wave that includes Black Terror from way back to Wizord from the fairly new Curse Words book is really showing their love for comics of all eras. But this doesn’t happen unless they reach their goal. So it is up to the fans and pop culture community to make this line a reality. Plus, look at those Stretch Goals! 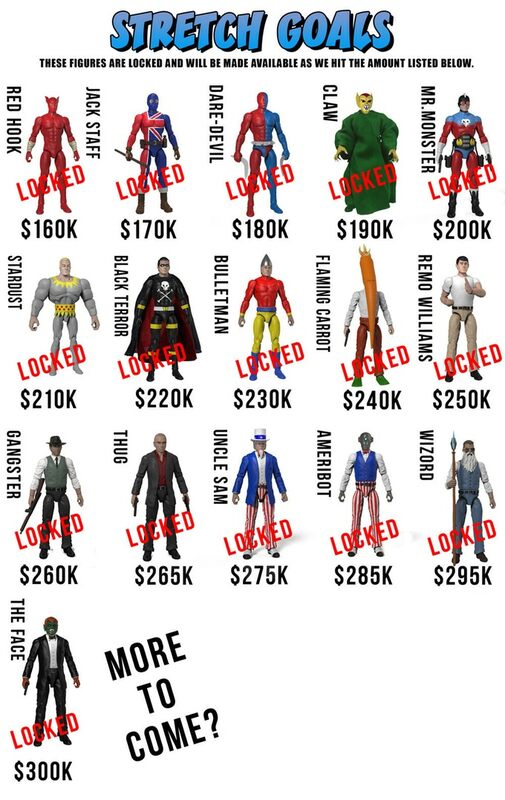 I need a Red Hook, Wizord, and Bulletman for my collection! Head over to https://www.kickstarter.com/projects/freshmonkeyfiction/amazing-heroes-1-18-scale-super-hero-action-figure and let’s make this project a reality!